For ideas on how to incorporate this exhibit into your curriculum, please visit the Clinton Presidential Library High School Curricular Resources page. The Clinton Presidential Library offers a special tour in partnership with Little Rock Central High School National Historic Site. 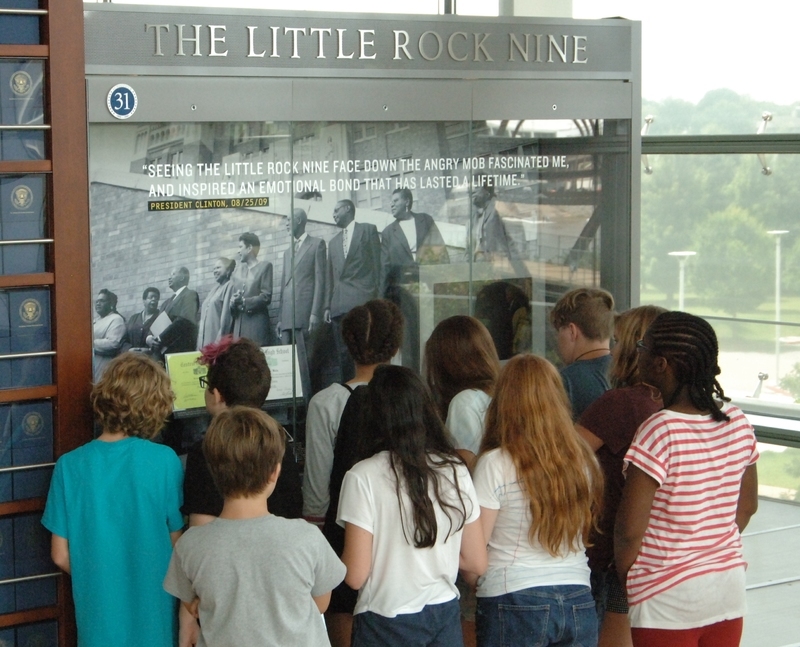 The Little Rock Nine and the Congressional Gold Medal Tour allows students to tour both the Clinton Presidential Library and the Little Rock Central High School National Historic Site. 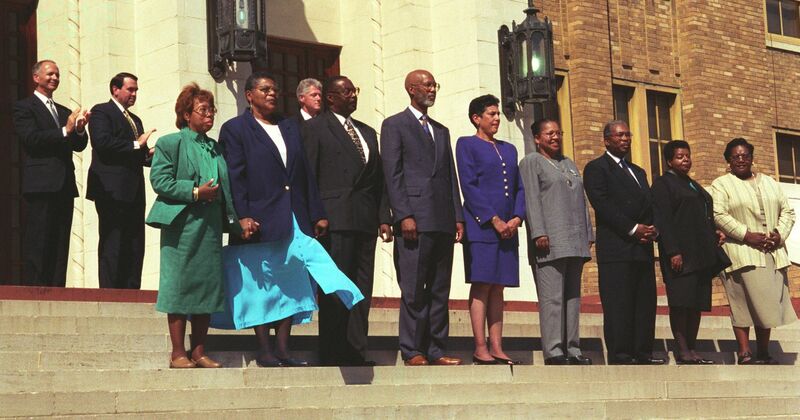 Students have an opportunity to explore the significance of the Little Rock Nine, the impact their actions had on America, and the inspiration they provided to President Clinton during his formative years and beyond. On tour at the Clinton Presidential Library, students will see one of the Congressional Gold Medals presented to the Little Rock Nine at a special ceremony at the White House in 1999. This tour will last approximately three hours. For more information on on-site programs, please visit the Clinton Presidential Library High School Education Programs page.